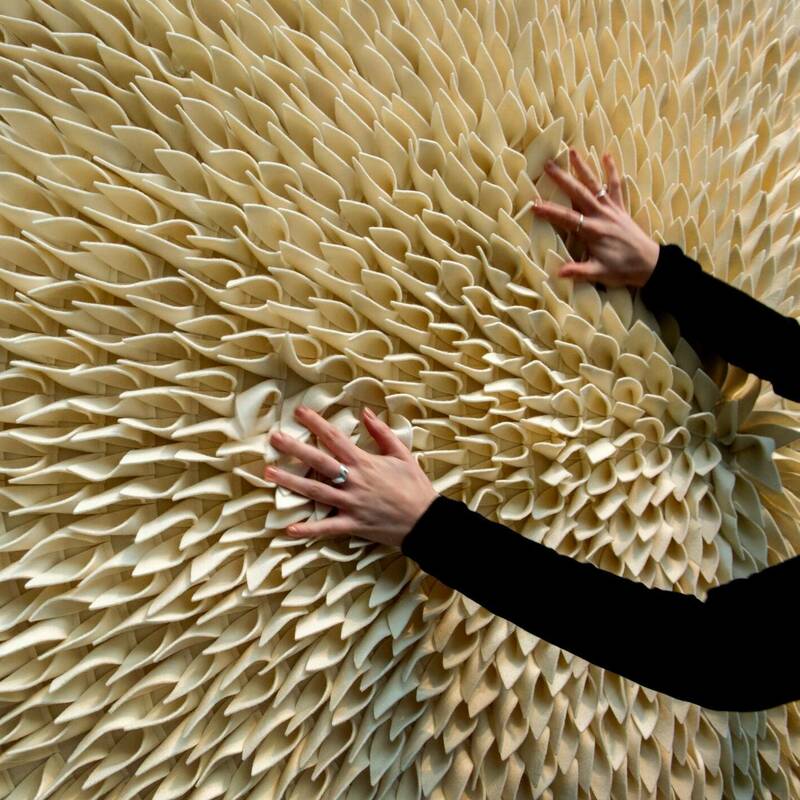 Surface Design Show hosts over 150 exhibitors highlighting the very best in exterior and interior surface design from 5 – 7 February. 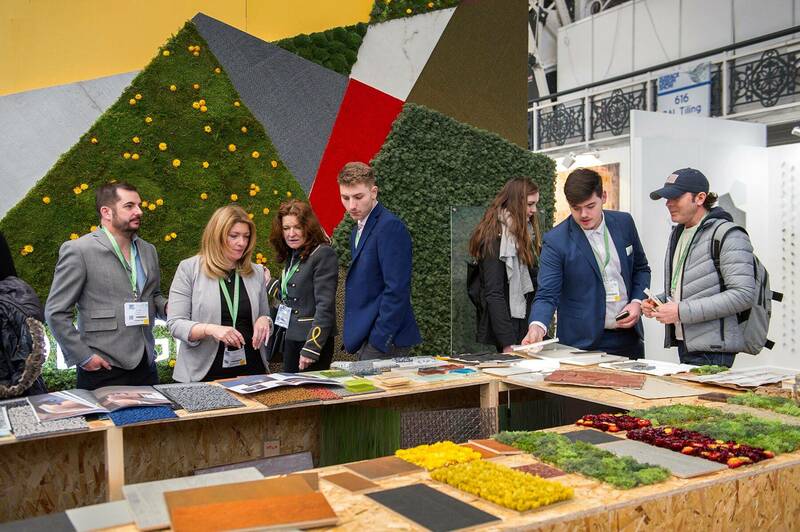 Taking place at London’s Business Design Centre, the show provides a platform for architects, designers and specifiers to explore interior and exterior surface materials, lighting design, development and innovation. Visitors will uncover thousands of new materials from the latest technological advances in building materials to innovative workplace surfaces and everything in between. Each year the show provides a focus on particular areas of design, helping to highlight the materials that most benefit these environments. This year the focus will be on the Workplace and Public Realm, both of which have a great impact on our daily lives. Workplace design not only enhances the aesthetics of where we work but also the productivity, health and wellbeing of employees. Surfaces including acoustic, flooring and lighting are all vital to the design of a well thought out workplace. ‘The Office of the Future: Virtual or Virtuous’ takes place on Wednesday 6 February from 11:45am – 12:30pm on the Main Stage. This session entails Studio TILT’s Oliver Marlow meeting architectural correspondent Veronica Simpson to discuss how the configurations of interiors can assist a more fluid, creative and effective way of operating. Senior Lighting Designer and Lighting Designer at Nulty +, Phil Copland and Martina Alagna, will be taking ‘A Moonlight Walk in the Workplace’ from 14:00pm – 14:45 at part of Light Talks on Thursday 7 February. From 11:45am – 12:30pm on Thursday 7 February, Director of Oliver Heath Design, Oliver Heath will be presenting ‘The Science and Style of Biophilic Design; improving the human connection with nature; improving spaces for people, productivity and the planet’ on the Main Stage. Opening the programme of discussions, the Opening Night Debate, Tuesday 5 February 18.30-19.30, will see New London Architecture and RIBA host a panel discussion titled ‘Factory Housing: Is this the solution to building better homes long-term?’. RIBA President and Chair of HTA Design Ben Derbyshire; Chairman of NLA Peter Murray; Director at shedkm Hazel Rounding and Partner at Pollard Thomas Edwards Carl Vann will discuss the virtues and vices of factory-made housing models. Could factory housing answer the needs of Londoners long-term? Sponsored by Bruceshaw. 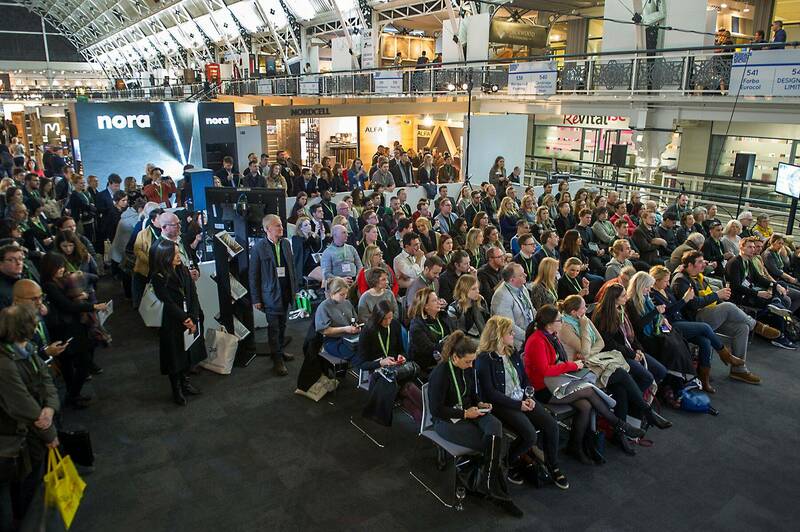 For those looking to further their professional learning the CPD Hub is Surface Design Show’s forum for learning and professional development in which manufacturers and industry organisations present a rolling programme of talks covering all aspects of the surfaces sector. The sessions include: ‘Responsible timber procurement’ by Charlie Law, Sustainable Construction Solutions, which is hosted by PEFC; ‘An insight into the world of decorative wood veneer’ by Reliance Veneer; and ‘Exploring design opportunities by using structural LED Light Panels’ taken by Pixalux. Armourcoat (Stand 102) is a market leading manufacturer and specialist contractor of decorative surface finishes. Armourcoat’s Acoustic Plaster System is designed to optimise the acoustics of interior spaces, as the correct control of sound can create a calmer and more pleasant environment, which is of huge importance in the workplace. Freund (Stand 244) brings nature inside your rooms: Experience moss, barks and many more materials for a biophilic interior design of modern workplace spaces. Freund GmbH is a company with a successful history as trading partner and manufacturer on a national and international level. Its products include individual moss walls such as Evergreen Moss Premium which highlight spaces and do not require any light, watering or feeding. 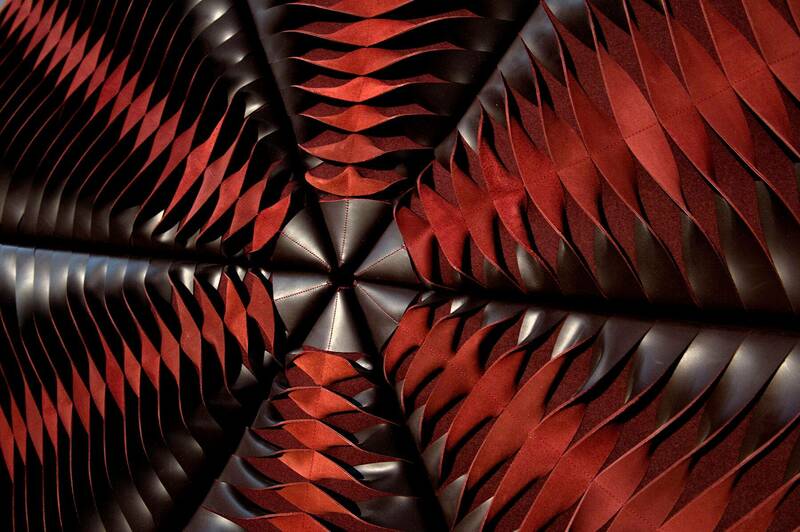 SIBU DESIGN (Stand 520) is a leading manufacturer of high-quality, synthetic design panels that have been specially developed for interior, furniture, architectural and display design purposes. Design meets function in the SIBU I BOARD COLLECTION, which for the first time makes fashionable SIBU DESIGN patterns available on ready-pressed MDF boards, perfect for the workplace. 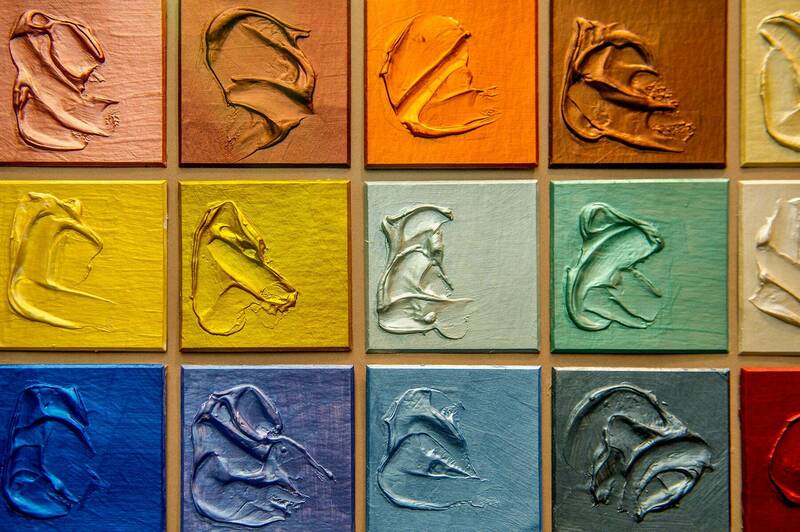 Surface Spotlight Live, curated in collaboration by trend expert Sally Angharad and colour forecasters Colour Hive will return to Surface Design Show 2019. One of a Kind will aim to inspire a kinder approach to design. A series of thought-provoking and innovative products will be showcased, all which go beyond aesthetics to promote meaningful experiences, with highlights for the workplace and public realm. Stone Gallery, which is officially supported by Stone Federation GB whose Stone Knowledge Hub forms a focal point for the event, will also be returning to Surface Design Show 2019. Stone Gallery is an industry-leading event for architects and designers to meet and specify natural stone. The 2019 edition welcomes back returning exhibitors as well as new additions, such as Piedra Paloma, Airemarmores and Marmi Faedo. The Stone Hub hosts a series of presentations bringing the A&D professionals to listen and learn from the leading designers in the sector. Now in its fifth year Light School, the home of architectural lighting, allows architects and designers to touch, compare and learn about innovative lighting and technology products. Confirmed returning exhibitors include Appelec, Optelma, and Pixalux. The Light School arena, Light Talks, will return once again supported by the Institution of Lighting Professionals. Industry experts from Hoare Lea, Nulty+, Atelier Ten and 18 Degrees have already confirmed to share their knowledge at Light Talks. 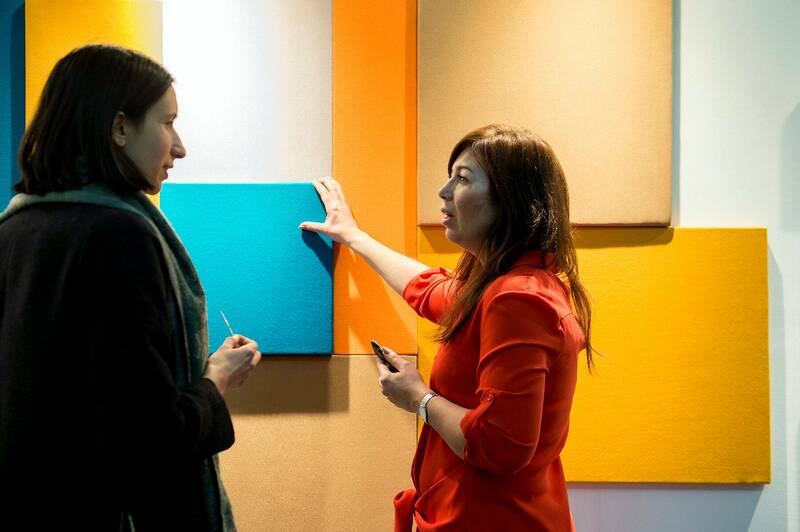 New to Surface Design Show is the New Talent area curated by internationally acclaimed speaker and forward-thinking Chief Creative Director at Trendease International, Jennifer Castoldi. 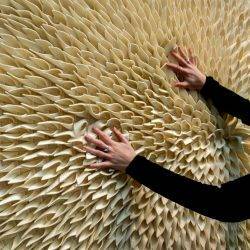 Those chosen will be up and coming designers in the surface and materials sector. New Talent exhibitors can only have been in the industry for five years or less and will be hand selected by Jennifer. Participants include experimental materials studio, MUUNA; Laura Evans Designs; Yi-Han Fu, textile designer; Orla Lawn, decorative panelling and Tomasz Maker, woodworking and metal work. Since 2013 the show has hosted the Surface Design Awards, now recognised as one of the most respected events in the design calendar. The 2019 awards received entries from across Europe, the USA, Australia, China, Korea and India. The shortlist consists of an impressive 43 projects across seven categories. Finalists included the impressive Expensify Office by ZGF Architects and Pure + FreeForm. The unique office space was designed to reflect Expensify’s company signature ‘choose-your-own-adventure’ work setting. The Awards Presentation will take place on the morning of Thursday 7 February, at Surface Design Show. Tickets to the Presentation are available via the Surface Design Show website. Award partners include; James Latham, FINSA, Business Design Centre, Soluis and Roof Maker.